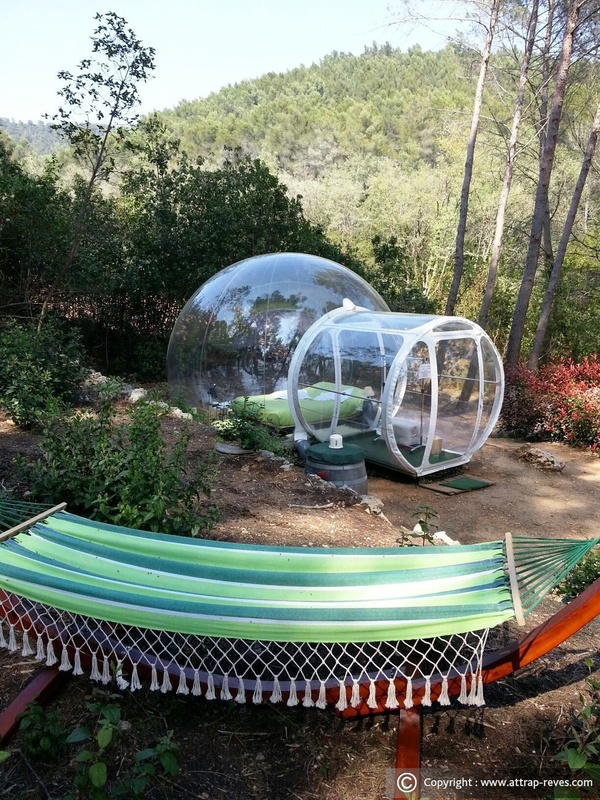 Camping hasn’t changed much since the Israelites traveled around the desert carrying animal skin dwellings on their backs. 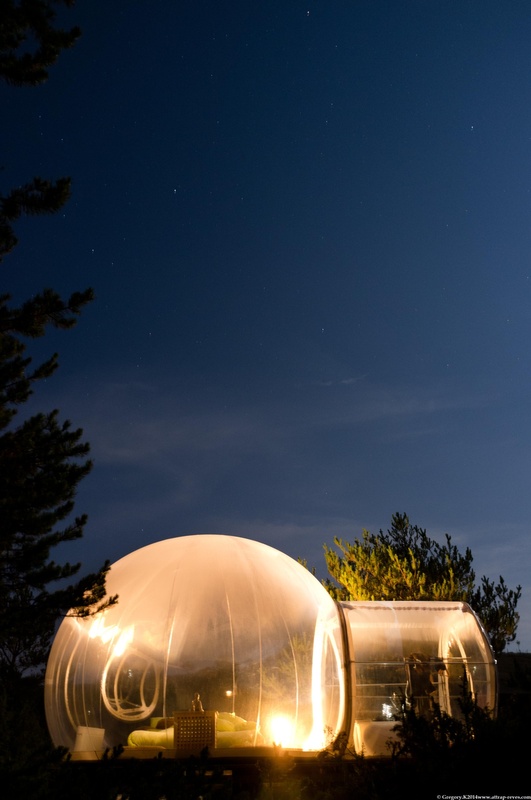 About time, then, for designer Pierre Stephane Dumas to create these amazing bubble-dwellings that allow you the unparalleled experience of slumbering beneath the stars while still being able to see the little twinkles whenever you open your eyes. 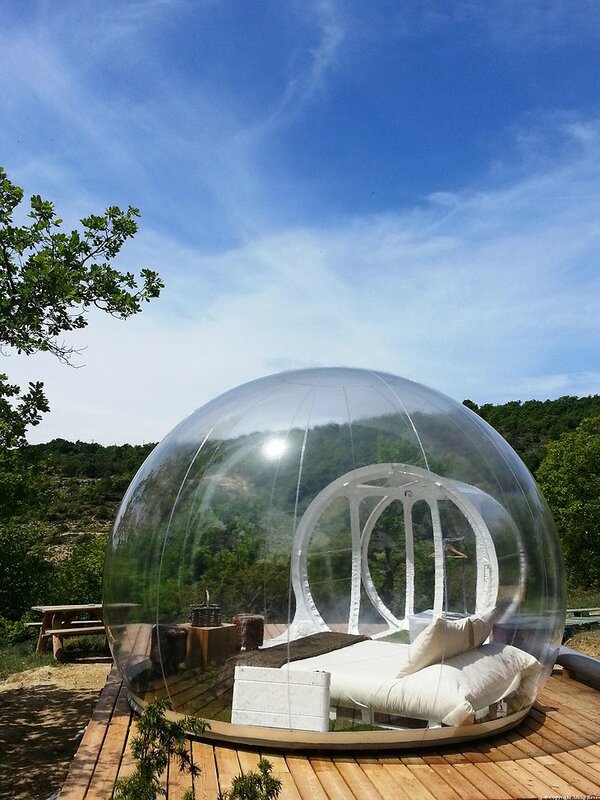 Your bubble is located in a secluded glade with a bang-to-rights view. It’s a short walk away from the hotel’s main building where you can peer through telescopes, eat food and relax in the Jacuzzi. 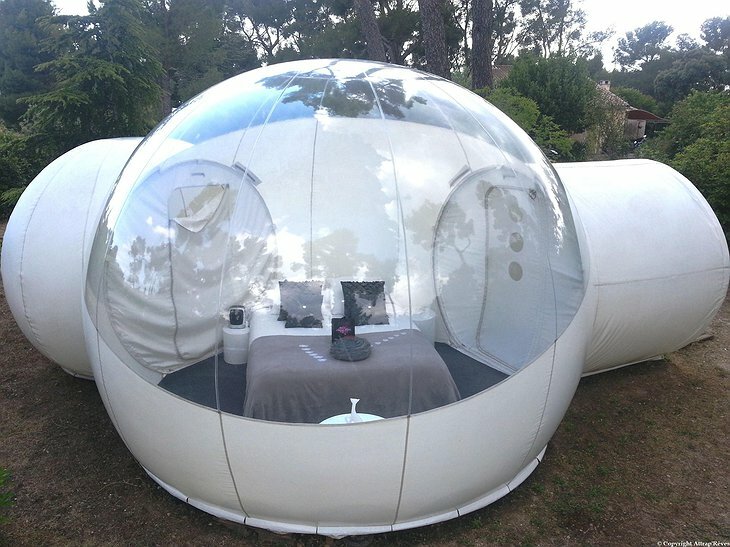 Your bubble is kept constantly inflated by a silent blower which also recycles the air inside. 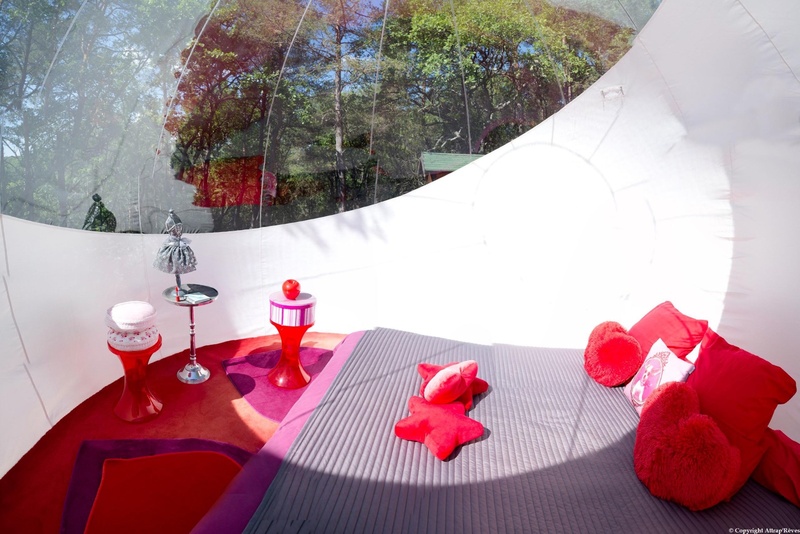 You have a king-size bed, reading lamp and tables and chairs. 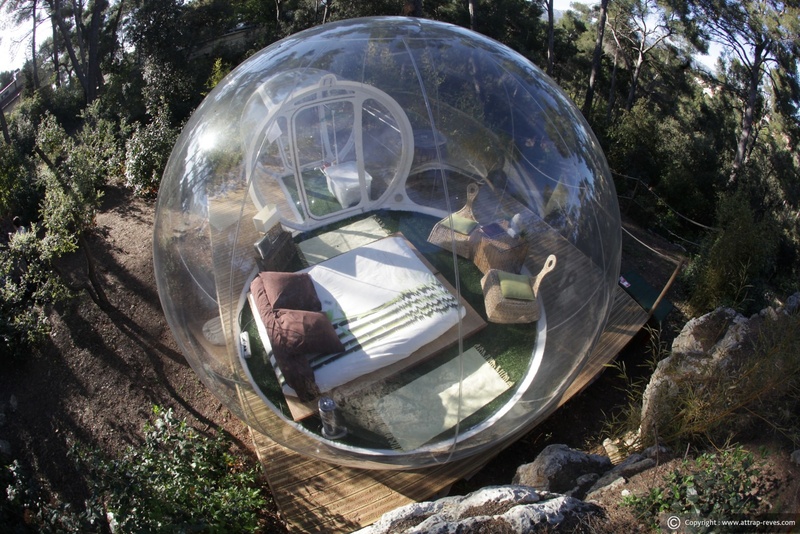 And, even though you are out in nature, your bubble has electricity and a bathroom with running water. 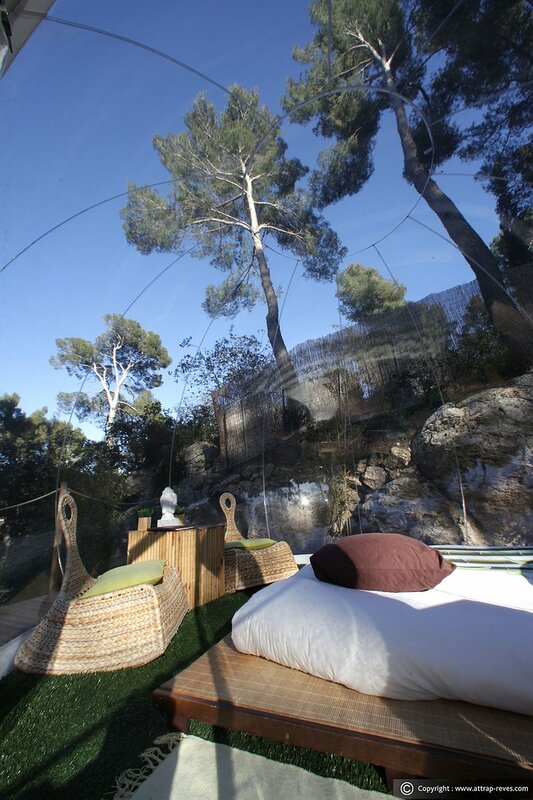 Choose from transparent or tinted types of bubble depending on how much privacy you want. Stay here for a uniquely dreamy experience. 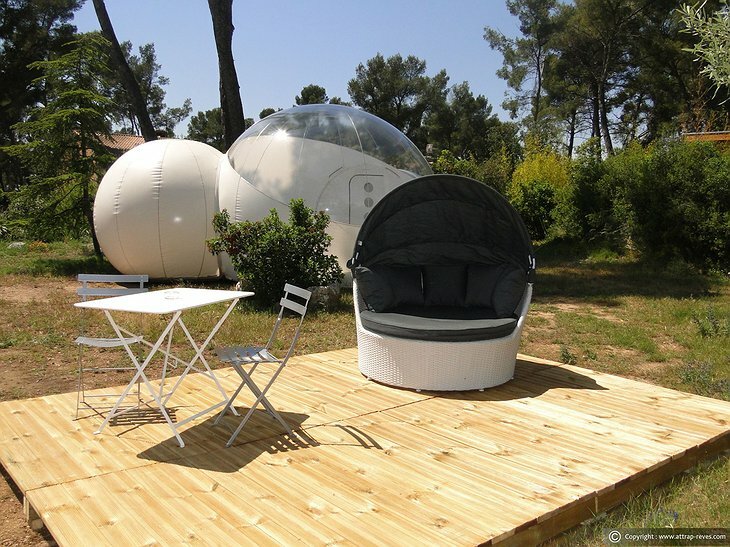 Bast Home - Attrap Reves Hotel France from BAST HOME on Vimeo.